This isn’t meant to be a super serious book club, just a way to be more intentional about reading those bucket list books. 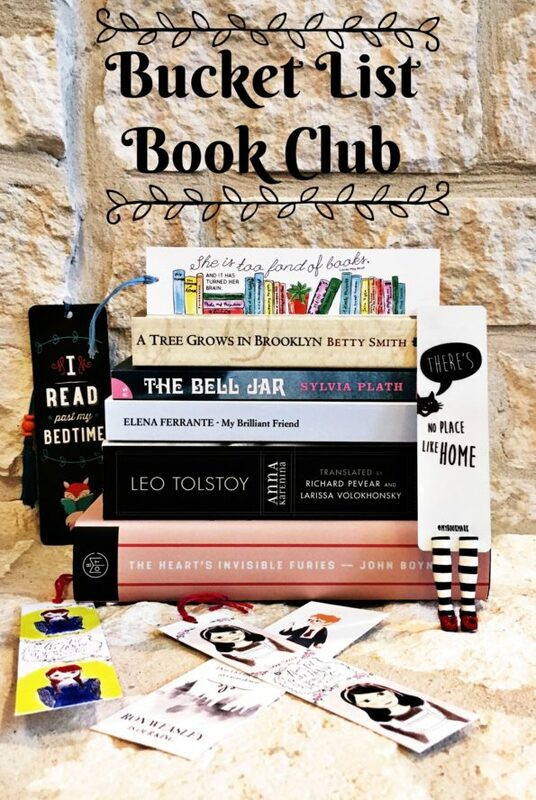 I’m going to choose some from my own shelves, but I also want to know what books YOU want to add to this club! Join in when you want or just follow along. It’s meant to be fun! I will keep a list here of all of the books we’re reading, posts related to those books, and any extra reading material I find. You can also follow along on my Instagram account, @texasgirlreads, where I will be posting discussions about the books, or follow #bucketlistbookclub on Instagram. I’m so excited for us to knock a few of these books off our shelves together! Our group discussion of A Tree Grows in Brooklyn will be on my Instagram page on March 4 at around 2PM CST! Our group discussion of Castle of Water will be on my Instagram page on March 31 at 10AM CST! Our group discussion of My Brilliant Friend will be on my Instagram page on May 6 at 2PM CST! Our group discussion of Before We Were Yours will be on my Instagram page on June 3 at 2PM CST! Our group discussion of Beartown and Us Against You will be on my Instagram page on July 1 at 2PM CST! Our group discussion of Crazy Rich Asians will be on my Instagram page on July 29 at 2PM CST! Our group discussion of News of the World will be on my Instagram page on September 2 at 2PM CST!